Not everyone is familiar with the Canada Bread name; however, if you live in Canada, you have almost certainly enjoyed at least one of our many products at breakfast, lunch, dinner or as a snack ... Our work is baked into life. Every meal. Every day. Each day our associates rise to bake the freshest, highest-quality baked goods, serve our consumers and learn from one another. Our mission is to have delicious and nutritious baked goods and snacks in the hands of all Canadians! We are a strong and sound company. Headquartered in Toronto, Ontario, we have been in business for more than 100 years. In May 2014, the company was purchased by Grupo Bimbo, the world's largest baking company with operations in 32 countries. In 2015, Canada Bread completed the purchase of Vachon Bakery and in 2016, the company acquired Stonemill Bakehouse. We strive to be a highly productive and deeply humane company. 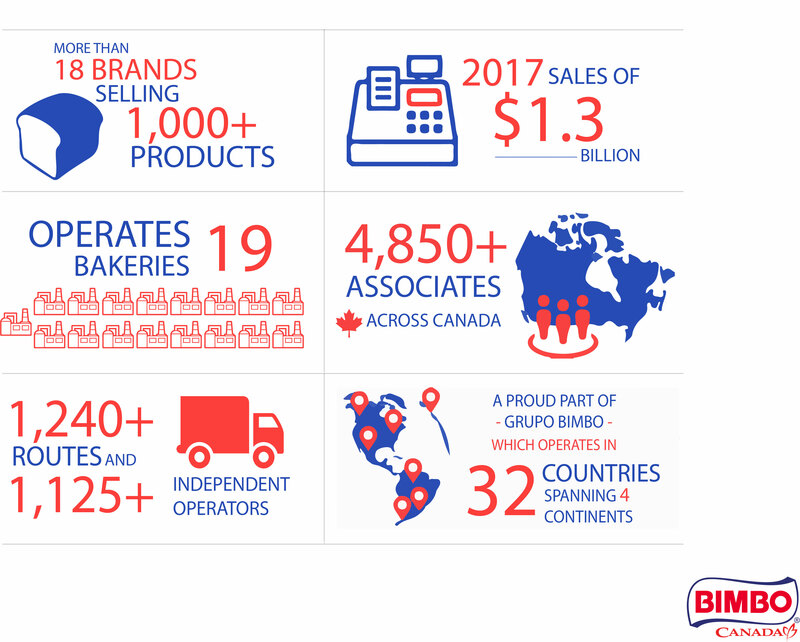 Our more than 4,800 associates and our independent operators nationwide work every day to achieve our vision of transforming the baking industry to better serve more consumers in Canada and throughout the world. We began our journey more than 100 years ago and have always been guided by a set of beliefs. Today, with some of the most respected brands in Canada, we continue to thrive as an organization committed to being highly-productive and deeply humane, valuing the person, acting with integrity and delivering high-quality products and exceptional service to our consumers. And, while these may just be words at other companies, at Canada Bread, they are the foundation of everything we do to advance our mission – to have delicious and nutritious baked goods and snacks in the hands of all Canadians. At Canada Bread, our beliefs are embraced and brought to life through the everyday actions of our associates as we strive to reach our goals. 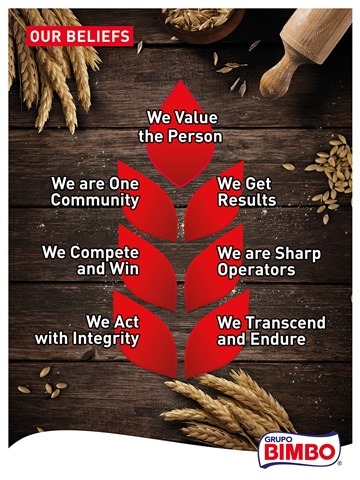 These beliefs represent a common language which defines why each of us work for the company, where we are headed and how we will collectively transform the baking industry to better serve more Canadians.